Click on the image to open a larger version in a new tab. This photo of the moon was captured on Jan 16, 2013 using a Canon T3i and a Celestron C6 telescope. 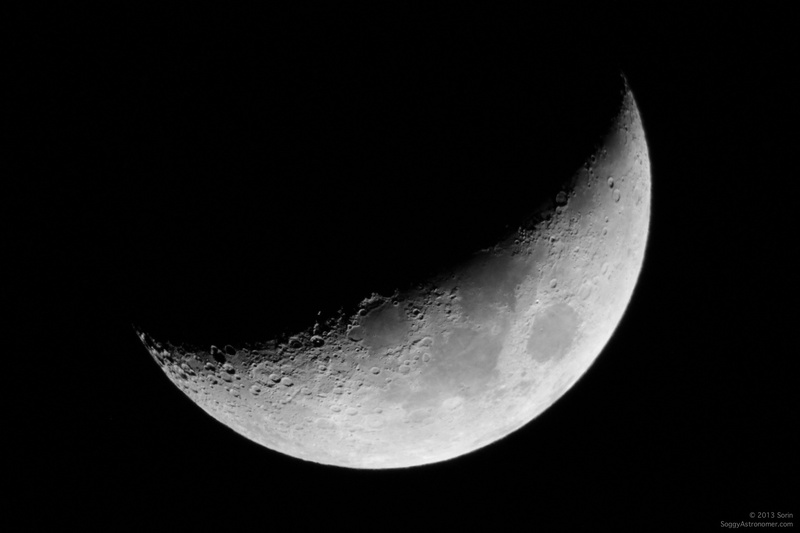 Using the telescope in prime focus effectively just turns the telescope into a 6″ 1500mm lens for the camera. This allowed me to capture the sharp details in the sunny crescent with a 1/200 exposure.